Over the next 10 years, the cruise industry will see 120 new ships debut with 35 of those ships to come out between now and the end of 2019. Here are some of the cruise lines that have multiple ships on order. Aida Nova will be coming out in December 2018 with an additional ship joining the fleet in 2021 and 2023. 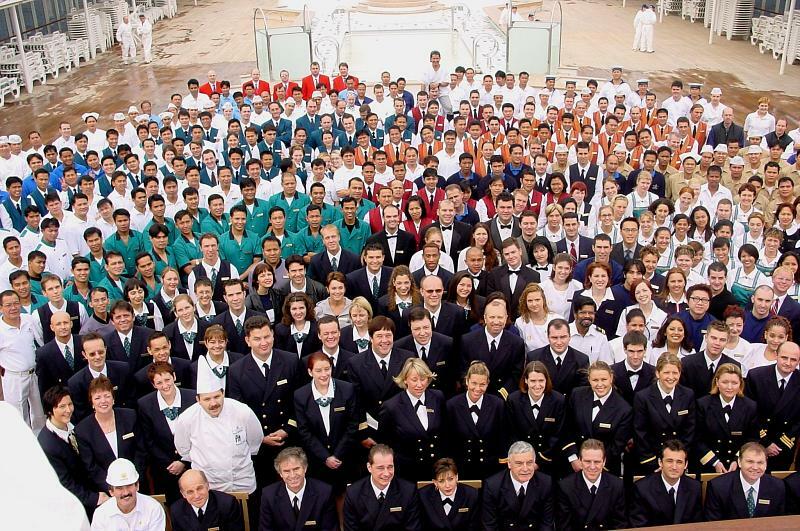 Each ship exceeds 180,000 gross tons and has a capacity of more than 2,500 staterooms. In April 2018, this American cruise line introduced their 170-passenger coastal ship, American Constitution. Later this year, American Song will debut, as the first of five new 200-passenger river vessels for the brand. The other four vessels will launch in 2019, 2020, 2021, and 2022. Earlier this year, the 133,500-ton Carnival Horizon made her debut. Carnival will be launching Carnival Panorama (133,500 tons) in 2019, Carnival Reflection (180,000 tons) in 2020 and another ship (180,000 tons) in 2022. In December 2018, Celebrity Cruises will be introducing Celebrity Edge (129,000 tons) with three more “Edge-Class ships to come out by 2022. Additionally, Celebrity Cruises will be debuted their new expedition ship (5,739 tons), Celebrity Flora in 2019. Costa Cruises will be launching two cruise ships in 2019, Costa Venezia (135,500 tons) and Costa Smeralda (189,900 tons). They have another two ships ordered, one to come out in 2020 and another in 2021. Crystal Cruises has an expedition ship coming out in 2020 and in 2022. Also, in 2022, they have a 70,000-ton ship making her debut. Disney Cruise Line will be building new cruise ships in 2021, 2022, and 2023. Hapag Lloyd Cruises will be debuting three new expedition ships (16,100 tons) by 2021. In December 2018, Holland America’s Nieuw Statendam (99,000 tons) will join their fleet. Another sister ship will follow in 2021. Earlier this year, MSC Seaview joined their extensive fleet. From 2019 to 2026, they will add another 10 cruise ships. Norwegian Cruise Line has seven ships to be delivered from 2019 to 2027. In 2019, Princess Cruises will add Sky Princess (141,000 tons) to their fleet. Four more ships are set to debut (2020, 2022, 2023, and 2025). Ritz Carlton’s first of three yachts (25,000 tons) will debut in 2020. The second and third yacht will debut in 2021 and 2022 respectively. Spectrum of the Seas will join the fleet in April 2019. Additional ships are on order for 2020, 2021, 2022, and 2024. TUI Cruises will be introducing ships in 2019, 2023, 2024, and 2026. Viking Cruises currently has 12 ships (47,000 tons each) on order with deliveries between 2019 to 2027. Virgin Voyages has their first ship (110,000 tons) coming out in 2020. They have another one due out in 2021 and a third one in 2022.